There was a day when you could tell someone that one of your favorite games had to do with virtual city planning and they'd look at you with a cocked head. Today though the SimCity franchise has a rabid fanbase and the Sim franchise overall has expanded into two dozen games and equally as many expansion packs. But after 10 years the game that started it all has been dormant for far too long - EA has revived SimCity giving it an almost complete remake. It's controversial, it's different, and at times, is brilliant. But does it work? 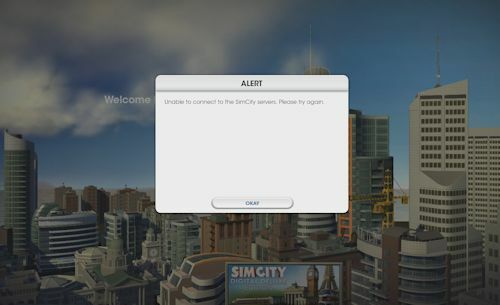 Let's get this out of the way right now - the "always online" requirement for SimCity is, right now, the game's greatest strength and greatest weakness. We've documented the launch issues on this very site - thousands of people unable to play the game because of server troubles. It also calls into question as to what happens four, five, or six years down the road if and when EA decides to shut down the servers - something we've seen from EA among other publishers for their multiplayer titles occurring far to frequently. The worst part about it in this case is it would not only kill multiplayer, but singleplayer as well. This sort of "feature" should never be an absolute - giving players options is always a better choice. There's another interesting problem that occurs because of this - the ability to experiment is essentially killed. No longer can you test out an idea in your city and if it fails, simply reload. If you spend all of your money on an replica of the Eiffel tower only to have your city go broke the next day, you can't go back and fix it. Cities are saved instantly to the server and there doesn't seem to be anyway around it. Those weaknesses aside the social and online design of SimCity changes the dynamic of the game in a way that's completely different from previous titles. Players are no longer trying to build a huge sprawling city on their own - instead their city is part of a network of cities - a megalopolis of sorts - with each city affecting, supporting, and strengthening each other. At its core SimCity is still the same. Players are tasked with laying out a city in any manner they wish - placing down zones of residential, commercial, and industrial - and watching their virtual terrarium grow. You'll supplement your city with police, fire, and health service as well as worrying about utilities like power, water, sewage, and garbage. It's a careful balancing act of controlling traffic through mass transit, keeping Sims happy by entertaining them, and bringing in the income required to actually grow the city further. Page created in 0.3476 seconds.